The team at StepChange MoneyAware give help, advice and practical tips on avoiding debt, saving money and budgeting wisely. They've produced this great list of unusual ways to make extra cash. If you've thoroughly searched your sofa for loose changes and still need to boost your income, these weird and wacky ideas are well worth considering. They won;t make you an instant millionaire but these schemes might just be crazy enough to work and help bring in some additional pennies. I'm no statistisst-isst-ician (yes, that's a word) but I'm pretty confident that most homes in Britain have empty ink cartridges lying at the bottom of a drawer. Stock photos can get samey, so businesses are always looking for brand new images to buy. Why not cash in? You don't have to be a camera wizard to take photos worth paying for. If you have some digital snaps with decent resolution, consider selling them to online agencies such as Fotolia and 123rf. Every time someone buys one of your pictures you'll get a royalty fee, and the subject matter can cover anything you want (within reason). You don't need to have the body of an Adonis to become a work of art. Local colleges and universities constantly cry out for body types of all shapes, size and age as subject matter for their Da Vincis in the making. Some models earn around ﾣ10 per hour, and you may even be able to pick your favourite drawing to take home and keep! Every year, tonnes of textiles are dumped in landfills. This is a crying shame because as much as 95 per cent of the clothes we throw away could be used again. H&M are now collecting clothes and textiles of any brand, in any quality and any condition. What's more, they'll give you a ﾣ5 voucher to spend in store for each bag of material that you donate (limit two bags per day). With summer on the horizon, get to bagging up your unwanted clothes now so you can trade it in for cooler clobber! Since the dawn of time, long hair has been a hallmark of a woman's beauty (the occasional man too - romance novel model Fabio Lanzoni springs to mind). Hair extensions are more popular than ever, so if you have lovely long locks you can cash in! Hop on Gumtree and you'll find a plethora of ads from wigmakers willing to pay cold hard cash for your hair. It's also worth contacting your local colleges and hair salons to see if they need 'hair models' to fine-tune their craft on. If you live in a leafy or rural area and have a large back garden or patch of land here's a clever way to make some quick cash while the sun's shining - rent out your lawn to some happy campers! AirBNB is an online hub that allows folks to list their back garden for camping. This is great news for holidaymakers wanting to set up camp for a relatively cheap price. It's free to list your garden as a potential camping spot, and you can even choose the amount you want to charge to campers (you pay three per cent upon a successful booking), so everyone wins! Ever wondered how you can make a quick few bob from your writing, acting or drawing skills? Maybe you're a master photo retoucher or you're happy to wear someone's logo on your face for a day. American site Fiverr.com lets you earn money by doing anything from writing a sweet ukelele jingle to creating a custom cartoon character. You can net $4 (roughly ﾣ2.50) each time you do one of a wide variety of small tasks. It won't turn you into a millionaire overnight but it's a great way to earn pennies in a pinch. Got an 18-19-year-old skulking around the house? Maybe you are that 18-19-year-old, stuck indoors on a sunny day with no cash. If you'd sooner be down the pub with your mates, you can now get paid for it! Serve Legal needs young folk to find out if pubs are serving people who could potentially be underage. It's a paid gig and your drinks and travel costs are also covered. You love where you live, and you love to show it off when far-off friends or family come to visit. You probably also hate falling into 'tourist traps' when you yourself go on holiday, so why not help others avoid them too? Sign up to Vayable and put together a cheap and cheerful tour that visitors will love. You get to set your own rates for what each tourist will pay (Vayable take a three per cent cut) while showing off what you believe are your hometown's best features. Get some punters through the doors of your favourite family-run pub, or take them to that little-known local pencil museum you've been meaning to check out (okay, maybe not that last one, but you get the idea). Who knows? You make some out-of-town friends who can give you a tour around their home town in return! We found this great tip on MoneySavingExpert.com. Instead of putting your empty drinks cans out for the dustman, take them to Tesco and trade them in for Clubcard points. They're worth 1p in store but up to four times as much if you redeem them on things such as days out or breakdown cover, so it's really worth doing. All you need to do is check that your local Tesco has a recycling service. Go to the Tesco store locator to find a Tesco near you. If it has a recycling logo under the store name, you're sorted! One of our debt advisors recently sold a monkey puzzle tree from her back garden on eBay. 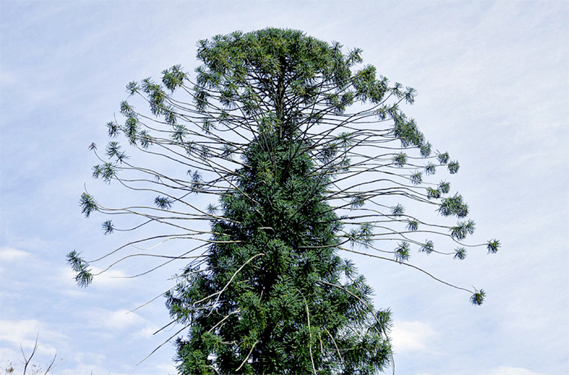 Firstly, monkey puzzle trees are the weirdest looking trees ever. Secondly, selling your unwanted shrubbery makes total sense. Trees take ages - sometimes half a century - to grow into anything remotely impressive. Ain't nobody got time for that! If you're debating taking a hacksaw to your hawthorn, check first to see if someone's willing to dig it up and cart it off for you. Better yet, they'll pay you for the privilege. We all have that one fantastic friend who's hardworking, loyal, and pretty much the bee's knees, if only they could net the perfect job! Should you have such a pal (or are that pal), then jobsearch site Refermehappy wants to hear from you. Join as either a 'referrer' or a 'friend' and you'll get a referral bonus from the company should your friend get hired for a job you connect them up with. If you're a bit of a texting fiend, then this tip is for you. ChaCha lets people text any question - no matter how random - and can get an answer back in minutes. If you reply to these questions, you get paid! Ever wondered if your eccentric great-uncle was really a famous explorer with a stash of pirate doubloons in his attic? No? Well maybe you should! Up to £15 billion of unclaimed financial assets are collecting dust right now in forgotten UK bank accounts, pensions, life assurance and investments - yet most are easy to reclaim. Whether the account's yours or a deceased relative's, it's worth reading through this brilliant guide on MoneySavingExpert.com and finding out how to reclaim lost assets you may be entitled to. Finding affordable parking can be a real pain in the neck. If you have a private parking space lying empty, it's possible that some frustrated commuter would gladly pay to rent it off you. ParkatmyHouse will let you list your parking space and set your price for free, taking a small cut from the rental fee you charge the person parking up. Please note, some local councils view renting out your parking space as a 'change of use' to your property, and will expect a ﾣ385 planning application fee. You must make sure this fee doesn't apply to you and if it does, a price check on parking sites in your area will show if it's worth the hassle. Read MoneySavingExpert.com's dedicated Rent Your Parking Space guide for more information. Granted this won't earn you cash per se, but it does mean that you can stock up on some goodies that you potentially would have had to buyﾅ.which is kinda the same thing. Sort of. Maybe. Set up a tester's account on Toluna and they'll send you all kinds of doodahs to try out from kids shampoos and herbal teas to lip liners and Spiderman stationary kits (nice). They also give out free vouchers for coffee shops, holidays, clothes and more. If you fancy yourself a bit of a music buff, Slicethepie is a nice little earner that's sure to hit all the right notes (again, sorry). There's a gazillion unsigned bands out there, and they need you to listen to and review their tracks. Initially you won't make much, but writing trustworthy reviews will increase your scout rating, earning you more and more. Interested? Read MoneyMagpie's great guide on how to make money by listening to music to help you get started! If you live in an area densely populated by students, you could clean up by becoming a 'hangover helper'. Literally. The idea was originally founded by two students in Colorado USA, and their clientele consists mainly of worse-for-wear students after a long night of partying. For a nominal fee, The Hangover Helpers bring their clients a hearty breakfast burrito, a sports drinks to replace fluids, and will give the place a good tidying while the students sleep off their woes. By the time the alcohol-afflicted roll out of bed, it'll be like the party never happened. Your lawnmower you haven't touched since 2009, the Christmas tree, that box of LPs you're definitely going to take down to the car boot sale one of these daysﾅthey're lonely! Find them some new friends by renting out the available space in your garage or shed. Check out Share My Storage for more details. Foreign exchange students come to study in the UK for a whole host of reasons, and for varying degrees of time. Students learning English are usually only here for about six weeks, while university students and lecturers tend to stay for up to six months. Letting a spare room out to a foreign exchange student is a pretty easy way to earn some regular cash. Throw in extras such as laundry, wifi and meals to bump up the rental fee. Read this extensive guide on MoneyMagpie to find out more. StepChange debt charity is a debt advice organisation offering free, confidential and impartial debt help to anyone who needs it. Their expert advice is available online 24 hours a day, visit StepChange Debt Remedy today to see how they can help. What top tips do you have for making a bit of extra money or instead making the money you've got go as far as possible? Have you ever tried any of the ideas listed here and did they work for you? Add your comments below.